Come and enjoy your time! 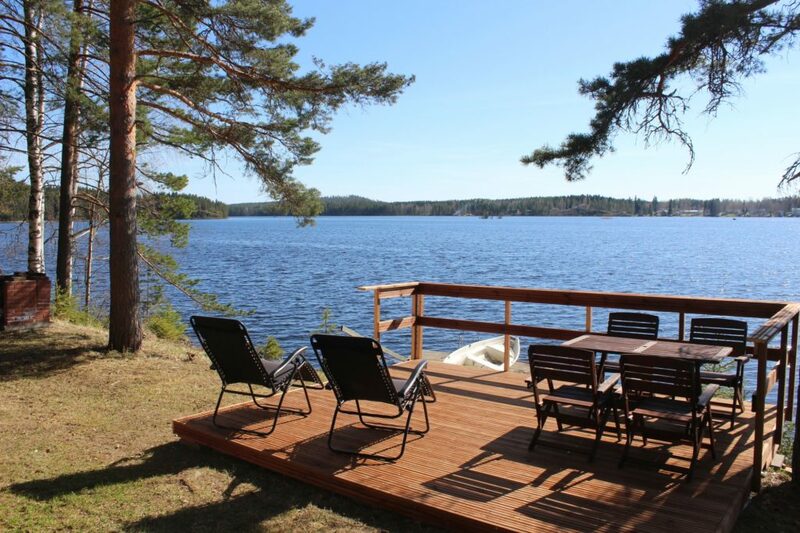 Vaajasalmi Holiday Cottages are located in Leppävirta, in eastern Finland.Leppävirta is located 40 kilometres south of Kuopio, and 40 kilometers north of Varkaus.The cottages are located on the south-west shore of Lake Oravilahti. Distance from cottages to shore is app. 15-25 metres. The distance to the Oravikoski town is app. 2 kilometres by water and by road app. 8 kilometres.It is app. 20 kilometres to the restaurants, spa and ski course in Leppävirta. High quality holiday villas in quiet locations with beautiful lake-views. Cozy and peaceful cottages with excellent privacy. Perfect for a relaxing holiday.